An estimated 16.1 million adults in the United States had at least one major depressive episode in 2015, according to the National Institute of Mental Health (NIMH). That number represents 6.7 percent of all American adults who are 18 or older. Seven or eight out of every 100 people will have post-traumatic stress disorder (PTSD) at some point in their lives, says the U.S. Department of Veterans Affairs’ (VA) National Center for PTSD. That number increases to somewhere between 11 and 20 out of every 100 veterans who served in Operation Iraqi Freedom and Operation Enduring Freedom. As the numbers show, depression, PTSD, and other mental illnesses are relatively prevalent in our society. At some point, you will be faced with an employee who suffers from a mental condition. You need to know your obligations with regard to potential accommodations for employees with mental disabilities. The Equal Employment Opportunity Commission (EEOC) recently released information to help explain the workplace rights of employees with mental health conditions under the Americans with Disabilities Act (ADA). Incorporating the EEOC’s guidance, here are our top five practical tips for accommodating individuals with mental impairments. Since the 2008 enactment of the ADA Amendments Act (ADAAA), it’s easier for an individual seeking protection under the ADA to establish that he has a disability within the meaning of the Act. In fact, the ADAAA states that the definition of “disability” should be interpreted in favor of broad coverage for individuals. Mental conditions like depression, PTSD, bipolar disorder, schizophrenia, and obsessive compulsive disorder (OCD) need not be permanent or severe to be deemed a disability. Instead, as long as the condition substantially limits a major life activity, such as the ability to concentrate, interact with others, communicate, sleep, eat, learn, think, or regulate emotions, it will be considered a disability. Even if the employee’s symptoms are sporadic or episodic, the condition will likely qualify for protection if her symptoms limit a major life activity when they’re active. That means that in most cases, you should focus on whether you can accommodate the individual, rather than whether her impairment meets the legal definition of a disability. You have an obligation to reasonably accommodate “known” impairments of otherwise qualified individuals. Generally, that means a job applicant or an employee must ask for a reasonable accommodation. But remember that a disabled individual need not use any special words to trigger your accommodation obligation. In other words, a person doesn’t need to specifically say she needs a reasonable accommodation or mention the ADA. Instead, your accommodation responsibility begins when an employee simply says that she needs a change at work, such as being allowed to arrive late on certain days so she can attend therapy sessions. Generally, however, you are not obligated to provide an accommodation when an employee hasn’t requested one or mentioned any work-related changes. But if you have knowledge (perhaps from past conversations or medical documentation) of an employee’s mental condition that impairs his ability to know of, or effectively communicate a need for, an obvious accommodation, you should engage in a discussion with the employee about potential accommodations. When an employee requests a reasonable accommodation for a disabling condition, ask her to put the request in writing and describe the condition and how it affects her work. You may also request a letter from the employee’s healthcare provider documenting her mental condition and stating that she needs a workplace accommodation because of it. However, even if the employee declines to make a request for accommodation in writing, you still have an obligation to engage in the interactive process and potentially accommodate her. Be careful not to discriminate in your requests for documentation. It’s best to have a uniform practice of requesting written information for all accommodation requests, for both physical and mental disabilities, so you cannot be charged with singling out a particular employee based on a mental illness. Don’t jump to the conclusion that an accommodation will necessarily be burdensome or costly. Some reasonable accommodations for mental disabilities may be relatively benign. Examples may include allowing the employee to wear headphones to drown out excessive noise, writing down work instructions rather than giving him verbal instructions, changing his shifts or start/end times to allow him to attend doctor or therapy appointments, or permitting the employee to work in a private room. Of course, if an accommodation will result in significant expense or disruption to your business, you may be able to decline it on the basis of undue hardship. But don’t assume that an accommodation will be burdensome when it’s first requested. Instead, engage in an interactive process with the employee, including input from her healthcare provider, to consider possible accommodations. A brainstorming session can often produce a variety of workable solutions, and you can choose the one that best suits your business as long as it permits the employee to perform her job. Be sure to confirm your discussions with the employee in writing to avoid future disputes about what was discussed and agreed upon. If an employee with a mental impairment cannot perform all the essential functions of his job, even with a reasonable accommodation, the disability generally won’t save his job. You aren’t required to lower your job expectations or accept poor work performance just because someone is disabled. But before you discipline, demote, or terminate a disabled employee, be sure you’ve explored any other rights to which she may be entitled. For example, consider whether a reasonable accommodation would include a defined leave of absence to allow the employee to get treatment or whether the employee qualifies for leave under the Family and Medical Leave Act (FMLA). Make certain that the unfulfilled or poorly executed duties involve essential job functions. You may need to eliminate marginal job duties as a reasonable accommodation. Once you’ve examined any other possible obligations and accommodations, make sure that you’ll be treating the disabled employee the same way you’ve treated nondisabled employees who have also performed poorly. Only after doing a thorough analysis should you take adverse action against a disabled employee. And document every step in case you need to defend your actions later. 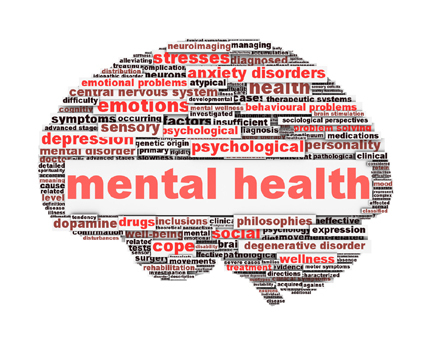 The EEOC reports that in fiscal year (FY) 2016, almost 5,000 charges of discrimination were based on mental health conditions. The agency also states that it obtained about $20 million in FY 2016 for individuals with mental health conditions who were unlawfully denied employment and reasonable accommodations. Follow our practical tips about accommodating depression, PTSD, and other mental illnesses to avoid being included in the EEOC’s future statistics. Mark Wiletsky is a partner with Holland & Hart LLP, practicing in the firm’s Boulder, Colorado, office. He may be contacted mbwiletsky@hollandhart.com.